When the B-52s sang about buying a Chrysler “as big as a whale,” this is the one I always pictured in my mind. 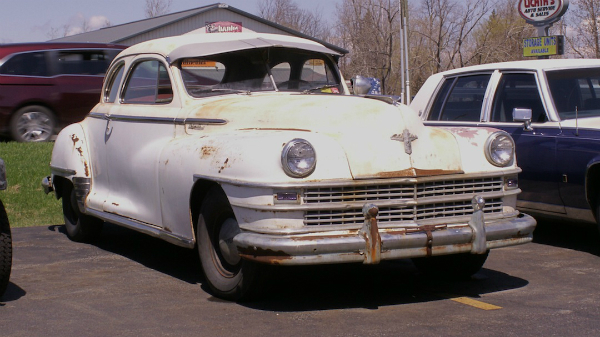 This particular 1947 Chrysler Club Coupe was seen over the summer in Depew. I would imagine after owning one of these for a few years, and wrangling that huge steering wheel while trying to coax the big coupe into its parking spot every day, you’d also have biceps as big as a whale. (If whales had biceps.) Jim Corbran, RRofWNY …and check out our Facebook page: Un-American Classic Cars The post RealRides Of WNY appeared first on Buffalo Cars.